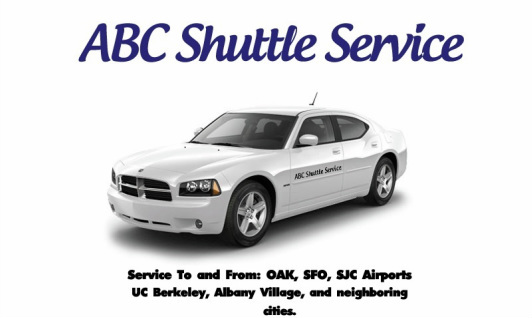 Widget Page - ABC Shuttle Service | SFO & Oakland Airporter | Cheapest Rates, Very Reliable, Easy Online Booking! *We Pick You Up Early AM/Late PM! *Direct Shuttles to the Destination! *All Tolls & Taxes Included in Price! *Convenient & Family Friendly Service! We offer direct, often non-stop, non-shared rides from virtually anywhere to anywhere at the lowest possible price, Guaranteed!! Small and local we're able to serve the needs of every passenger on an individual basis. We pride ourselves on the great service we provide to all our wonderful passengers. Make a reservation today and you will be amazed with the service you receive!